The Honda Civic has been lauded for its array of sophisticated standard features and excellent performance for some time, and the new Civic sedan is no exception. Even on the base LX trim, you’ll find the likes of a 6-speed manual transmission, a multi-angle rearview camera, and the option to add the Honda Sensing® suite of advanced safety features. Explore our current Civic inventory, and contact Babylon Honda in West Babylon to set up a test drive. Ready to take a closer look at the new Honda Civic? 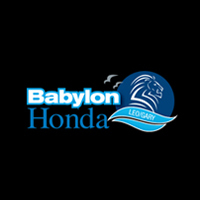 See how it compares to the Honda Accord before making your way to Babylon Honda. Apply for financing from the comfort of your own home, and check out the new Honda Civic safety features!